As with most of my builds this one is taking on a life of it's own. The hold-up right now is with the free-float tube. I have decided on the 24" bbl, but I don't like the rifle length handguard on such a long barrel, and 15" handguards are hard to find and not what I am wanting. Sooo, I am going to build my own using a Seekins Precision FF handguard nut and a carbon fiber tube. Thus the first hurdle. The nut has an OD of 1.8", most carbon fiber tubes come in either 1.75" or 1.84" ID, do I sand down or shim up....? 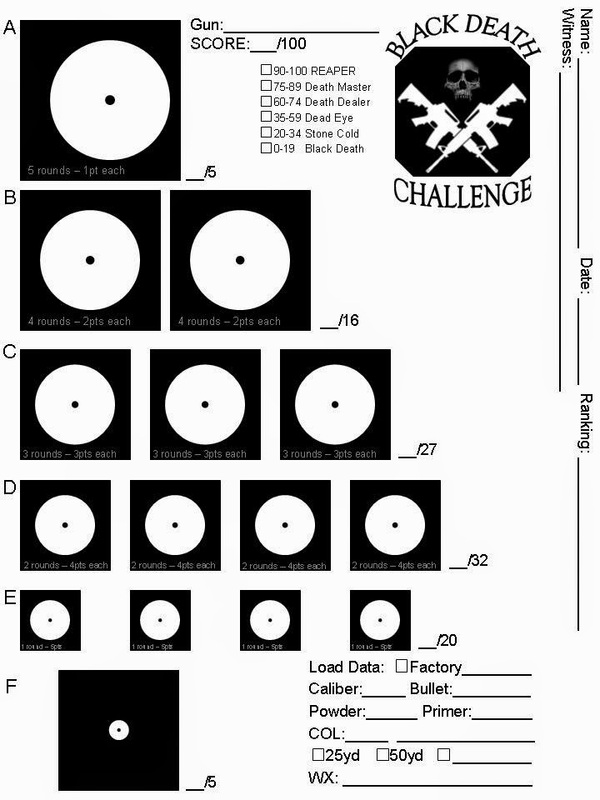 On a side note, I am going shooting this weekend and have been turned on to the Black Death Challenge. A work colleague came up with his own target and I will give it a try. Feel free to make it your own.